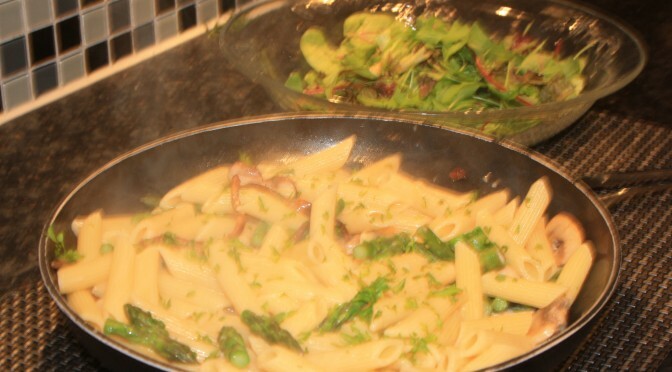 The success of Penne with Wild Mushrooms, Asparagus and White Beans has a lot to do with textures. The pasta and the asparagus should be al dente, to contrast with the silkiness of the beans, and the slight chewiness of the mushrooms. Good with: a salad of mixed leaves, rocket, lightly-toasted pine nuts, and finely chopped spring onion.